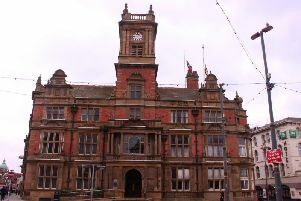 County Councillors' expenses slammed as "gravy train for fat cats"
Lancashire’s county councillors totted up an expenses and allowances bill of nearly £1.3m in the last financial year. Now they have been accused of being “fat cats” by an independent councillor who failed to persuade his colleagues to sacrifice some of their claims at a time when the authority is bringing in a 5.99 per cent increase in council tax. Coun Paul Greenall says councillors should stop all travel and subsistence claims. He also wants to see special political allowances for the whips and secretaries of the Tory and Labour Groups axed. Finally he wants the number of councillors receiving special allowances to be cut from 39 per cent to 22 per cent. But his proposals were cold-shouldered when he put them to a full meeting of Lancashire County Council. Instead, during the council’s annual review of allowances, councillors approved increases linked to the average increase in council workers’ pay and the Consumer Price Index. Coun Greenall resigned the Tory whip in July last year after claiming colleagues tried to stop him from raising the issue of reducing allowances. Coun Azhar Ali, leader of the council’s Labour group, said allowances were advised by an independent remuneration panel and Coun Greenall should raise his concerns with that panel. No comment was available from council leader and Tory councillor Geoff Driver. Total Bill for councillors' allowances 2016/17 amounted to almost £1.3m.